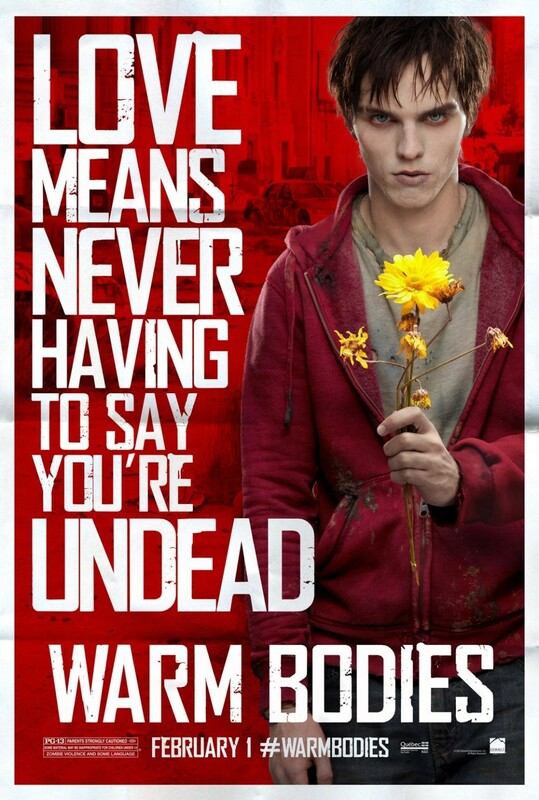 WARM BODIES is not your typical zombie movie you seen recently, be it "Resident Evil" or "Twilight" for that matter. It's looking at the world through the eyes of a zombie. Fresh is one word I will use on this movie, not something I had seen before, all the chasing, killing and infecting. Enough of that, period! This is definitely not intense as what I enjoyed too in "I am Legend" by Will Smith, but sure comical and romance. With all due respect to all Twilight fans out there, I rather watch this 3 times than to be caught dead watching Twilight movies in the theatre. You have to give the director the credit for making such an original and funny without laying too much cheese. Songs used sure bring back memories I used to listen when I was a teen! Not much special effects other than those "Bonies" aka Zombies with no point of return and aggressive. Only when I did a little more research on this film did I realize that "R" who is the male lead, is Romeo and of course, female counterpart is "Juliet" although she is "Julie" in the movie. Smart! But unlike the actual adaptation of Romeo and Juliet, this one got a good ending! In it, also mock of how humans communicate their feeling these days, though their smartphones. A little more in-depth, this movie is based on Isaac Marion's novel of the same name. Nicholas Hoult is R, previously boyfriend of recent female celebrity who won the Best Female Lead, Jennifer Lawrence. His narration in the movie is what makes this movie kick! Teresa Palmer is Julie, more known for her acts in "The Sorcerer's Apprentice" and "I am Number Four". But she does kind of remind me of Alice Eve, the female lead of "She's Out of My League". For certain, it's the cleverest zombie-romance-comedy movie I had seen in recent times. If you can't catch it in the theatre, do find your means to catch it, somehow! Oh! You want more? How about watching the first 4 minutes in the movie?